From Andorra to Singapore, the world is celebrating HypnoBirthing-Taking The Birthing World by Calm in celebration of HypnoBirthing® 25 years of bringing calm and confidence to families. Join us in this Celebration and Holistic Birth Preparation Seminar with feature speakers who are committed to help you make good decisions to achieve a safer, healthier and a joyful birth experience. 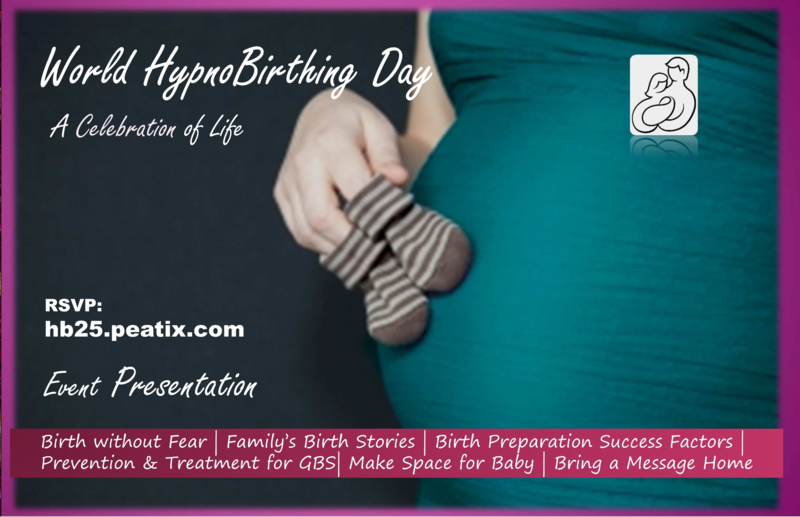 Enjoy fun programs prepared by a team of HypnoBirthing Practitioners/Childbirth Educators. Speak in person to HypnoBirthing Childbirth Educators, Birth Workers, Birth Doulas, Sleep Training Expert and Holistic Practitioners. Channel 8 recent program on preparing to welcome your baby on Baby Steps on 27 October. One of our speakers Kong Choon Yen is featured in this film as a Birth Doula and a HypnoBirthing Childbirth Educator. Share this event on Facebook. Click HERE to secure your seats.